I joined iControl ESI as the Vice President of Marketing and Sales at the beginning of November 2017 and faced a difficult task. When I walked in the door, it was fewer than 90 days before our first trade show of the year and the launch of our business analytics platform ENVIZE, which development had been working on for over a year. We needed to procure and implement a marketing platform, create a formal sales process to back it, and automate as much of that process as possible. 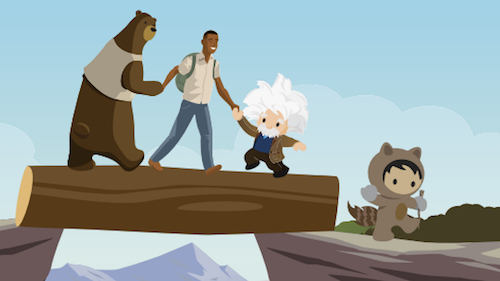 I didn’t know much about Sales Cloud but I knew I needed to create automations that helped our salespeople do more — and do it in a more impactful way. Using Sales Cloud and Pardot gave us the ability to take our innovations to market quickly, drive brand awareness in a meaningful way, and do it in a completely automated fashion that supported the complex sales process I was implementing. With our first trade show and the launch of our new analytics product just months away, I was tasked with procuring a sales and marketing platform, implementing and initiating campaigns that created brand awareness, and backing it with a sales process that would allow our sales team to be successful pre- and post-trade show — all in just under 90 days. Our product launch was a big deal for us. Our product had previously existed on another platform, and our team had spent the prior year and a half taking the product apart, redesigning it as a stand-alone product with the latest technology. Another goal was to integrate it into a third-party data hosting platform; one of our biggest competitors and the premier solution in our industry. We were trying to play nice and also take on the 1,000 pound gorilla all at the same time, so I didn’t have time to waste. Our plan was for marketing to touch as many prospects as possible while helping the sales team to hit one-offs with their customers and leads. We also needed to tackle both retail and channel prospects simultaneously, but we didn’t have the time or resources to launch multiple segmented campaigns. We decided to start with five list email templates developed to be generic enough that marketing could push them out to all prospects while also allowing the sales team to customize text through the lock edit feature. 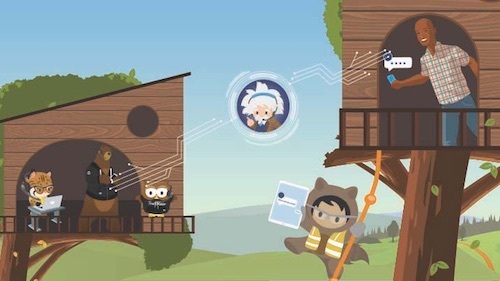 All of this allowed our salespeople to quickly access marketing resources through Salesforce, send Pardot emails or Salesforce Engage emails, and give a more consistent brand experience across revenue streams. Using the Getting Started: Pardot Set Up and Install Accelerator, along with a third-party implementation partner, we were able to use key Pardot features and functionality quickly. Working with a Salesforce success specialist we were able to implement Pardot and launch the marketing campaign for our new product in just 30 days, well ahead of our 90-day deadline. In our sales process, we believe there are somewhere between seven to 10 touches from contact to opportunity. The ability for us to automate half of those touches in marketing was critical for enabling our sales reps to spend their time doing more time effective tasks. This improved our sales productivity and allowed us to focus on increasing our performance. Now, with Pardot and Accelerators, we’re getting a better understanding of our customers’ needs and how to segment the marketing appropriately. With a successful launch of our new marketing platform, we are continuing on our journey to provide more personalized marketing experiences to our customers. Using Pardot, we were able to implement more short-term and long-term drip campaign strategies to target different market segments.